Ashley (Miller) Carreon is a former collegiate track and field and cross country athlete for the University of Nebraska Cornhuskers, accumulating numerous conference titles, school records, and All-American honors. She was the 2012 University of Nebraska Female Student-Athlete of the Year and 2012 Olympic Track and Field Trials qualifier in the 800 and 1500 meter-runs. In August, 2014, she completed her Masters of Science Degree in Nutrition and Health Sciences (Community Nutrition and Health Promotion emphasis, Educational Psychology minor) from the University of Nebraska-Lincoln. As a graduate student, she conducted research for the iCook 4-H program and was published in the March, 2016 issue of the scientific journal, Appetite. Carreon completed her dietetic internship at The University of Oklahoma Health Sciences Center in September, 2015. While in Oklahoma, she become active in the local running scene at the longer distances, twice winning the Oklahoma City Memorial Half Marathon (2015, 2016), and was the 2017 Lincoln (NE) Half Marathon Champion. Most recently, she was the top female Oklahoman at the 2017 Tulsa Run 15K and winner of the 2018 Go Girl! Half Marathon in Oklahoma City. Ashley is passionate about connecting with others and sharing her love for healthy living, spending time with her friends and family, and traveling with her husband, Jazz. 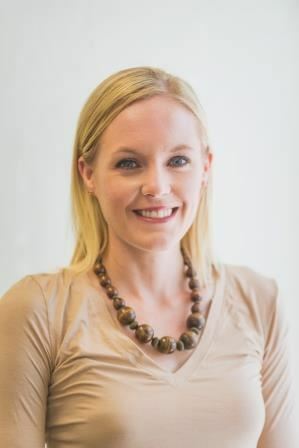 Ashley currently works as a registered dietitian nutritionist specializing in bariatrics at Dr. Keith's Wellness Options in Norman, OK.